Deprecated function: The each() function is deprecated. This message will be suppressed on further calls in _menu_load_objects() (line 579 of /homepages/12/d87396324/htdocs/drupal7sites/includes/menu.inc). 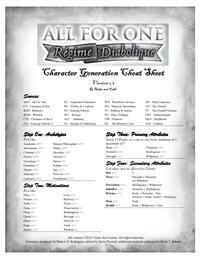 Version 2.3 of the excellent character generation cheat sheets.